This is the large pulley from Tamiya's Pulley Unit Set (TAMX7121). Contains white and black plastic parts attached to sprues. 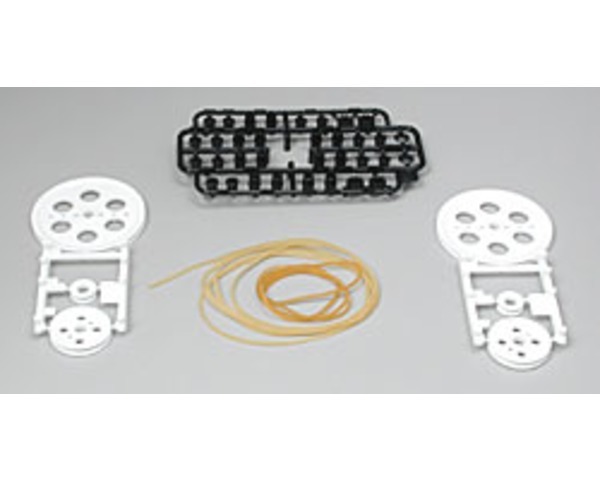 Includes screws, bushings and belts (rubber bands). replacing the belt, if needed. Can be used singly or together. Designed for fairly small and simple models. Reverse rotation of pulley is possible.